Can I find the Library on Weibo or WeChat? WeChat @ XJTLU_Library (西交利物浦大学图书馆) for all the latest news from the Library. Also, take a look at the Library's Sina Weibo public site @西交利物浦大学图书馆 for updates and information about new developments and changes, as well as library events and instructions. 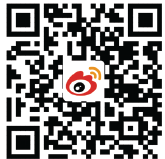 Scan the QR codes to follow us!